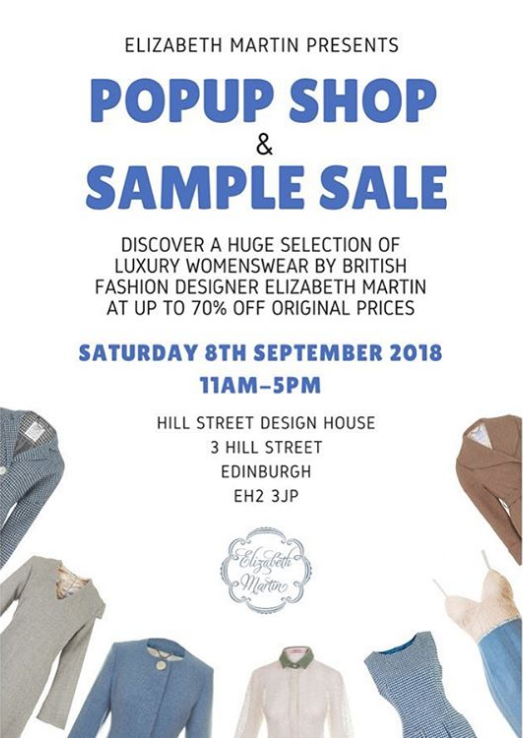 Join us for a stylish Saturday shopping spree as we showcase a huge selection of original Elizabeth Martin designs at up to 70% off original prices, a limited edition chance to nab yourself a one-of-a-kind luxury bargain. Meet the designer herself and browse the collection of womenswear, all made in Scotland using fabrics sourced exclusively in the UK, at the creative hub of Hill Street Design House. Free entry.